Save AED 0 (0%) Earn 186 Shukrans What is Shukran? Shukran is the Landmark Group’s award-winning loyalty programme in the Middle East, which allows you to earn Shukrans when you shop any of our brands. 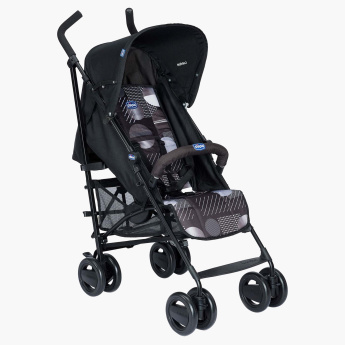 A perfect companion to go on a holiday, this stroller will ensure that your baby is comfortable at all times during the travel. Sporting eight wheels, this sturdy and lightweight stroller will move easily even through thin lanes. The storage basket lets you place your babyâ€™s important things while the protection strap will hold the baby in place no matter how rough the roads are.